In America, Too Much ‘All Work, No Play’? With kids wailing and the to-do list piling up, relaxing may prove an elusive ideal. Guest host Jacki Lyden discusses work-life balance with Chris Licht, vice president of programming at CBS News and author of What I Learned When I Almost Died; Arnoldo Borjo, a community organizer for the Legal Aid Justice Center in Northern Virginia; and Bertice Berry, sociologist, lecturer and author of A Year to Wellness. Click here to hear or read a transcript of the interview at www.NPR.org. 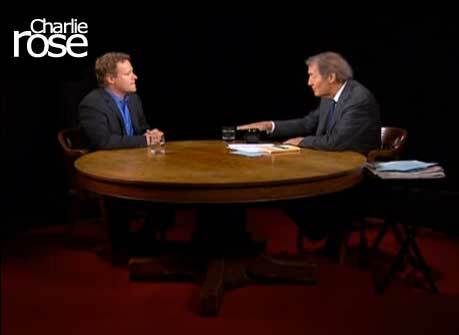 Chris interviewed on Charlie Rose! Click here to watch the Chris Licht interview on Charlie Rose! Author Chris Licht visited the KCAL 9 studios Wednesday to talk about his near-death experience. Click here to see the video at www.SanDiego6.com. As the co-creator and executive producer of MSNBC’s Morning Joe, Chris Licht was used to fast-breaking news. But he never expected to become the headline himself. On April 28, 2010, what began as a regular day at work ended in the emergency room at George Washington University Hospital after Licht, then 38, suffered a brain aneurysm. He tells the story in his compelling new book, What I Learned When I Almost Died: How a Maniac TV Producer Put Down His BlackBerry and Started to Live His Life. TIME spoke with Licht, recently named vice president of programming at CBS News, about his life-changing experience.